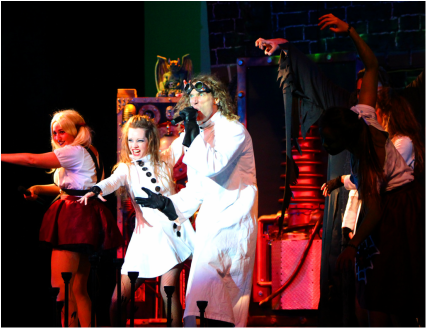 is a com﻿edic rock musical that explodes onto the stage with all the awesomeness and amperage you would expect from an 80’s style hair metal rock concert! Turn on the electrodes, raise the platform and thr﻿ow the swit﻿ch! A storm is brewing and you don’t want to miss this hilarious adaptation of Mary Shelley’s classic tale! But don’t worry, we promise it won’t cost you “morgue” than an arm or a leg! So grab your jumper cables, a shovel, and any “body” you can because IT'S ALIVE! !